How about some raptors? 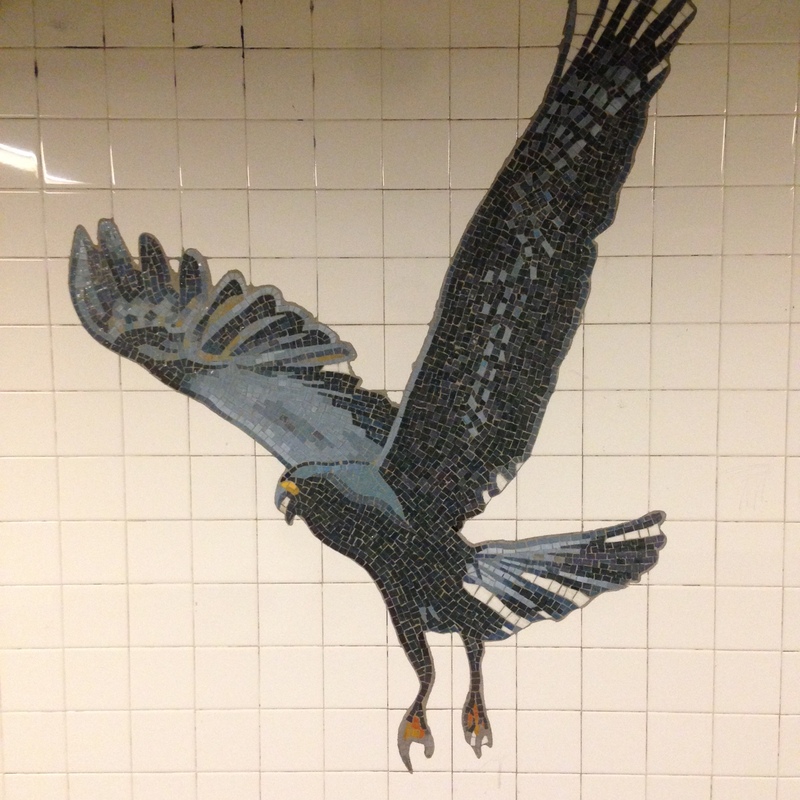 Let’s start with this mosaic in the 81st St. subway station, one of a large series illustrating some of the breadth of the American Museum of Natural History. (You can actually enter the museum from underground there.) It’s very much worth a MetroCard swipe to explore both platforms, which are stacked one above the other. The lower level, downtown-bound, is full of life-size dinosaur fossil-reproductions. I love trailing my fingers across those old ribs. But I digress. That’s a Snail Kite (Rostrhamus sociabilis) above, isn’t it? I’ve never seen one in the wild. In the U.S., they’re found only in the open marshes of central Florida, and in rather small numbers. As their name suggests, they’re snail eaters. An invasive snail, larger than their usual prey, may be adding to their difficulties. If history is any judge… a case for optimism in the storm by Corey Robin. Thanks for the link to the Robin essay. I appreciate his evaluative retrospective analysis and, as you say, perhaps optimism isn’t as out of reach as it seems. More importantly, I’m truly looking forward to a continuation of A Week of Raptors. Day 1 is stunning.